The Whatcom County community is fortunate to have Priscilla Long coming to share her ideas. She has already visited the Vanishing Ice exhibit and, given her extensive scientific knowledge, we can expect her to address both global and local issues the show examines. In Whatcom County, coal has become a troubling concern. 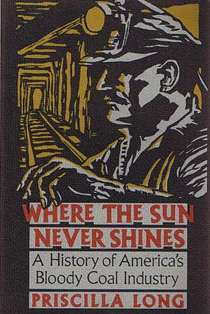 Long’s book Where the Sun Never Shines: A History of America’s Bloody Coal Industry ought to be of great interest to the community. 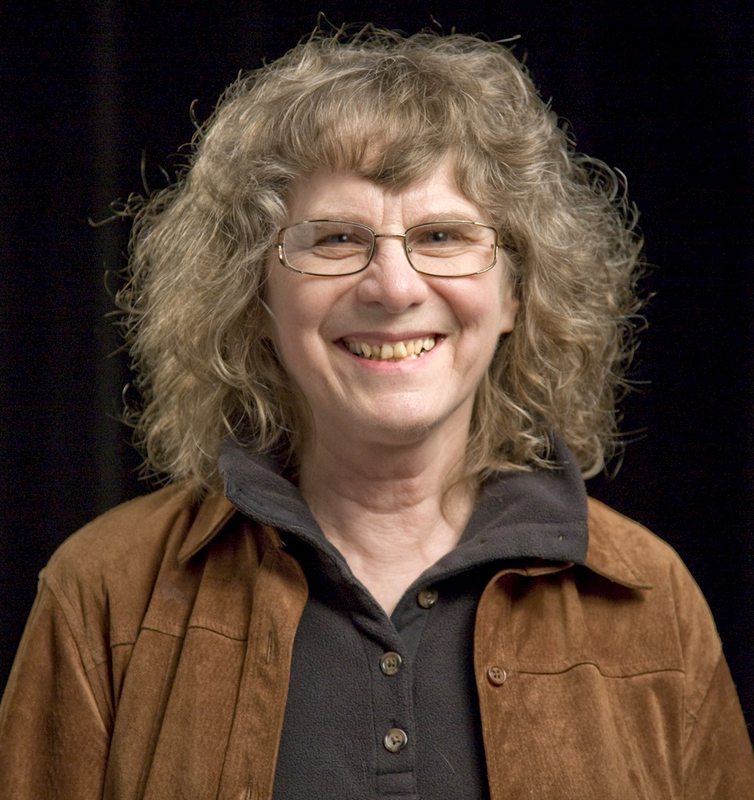 Poet James Bertolino interviewed Priscilla Long during January 2014 in preparation for her Vanishing Ice presentation at the Whatcom Museum in Bellingham. James Bertolino: You were born in Buck’s County, Pennsylvania and grew up on a dairy farm—how has that rural background influenced your thinking and writing? Priscilla Long: Farming is a lot like writing, or so it seems to me. My father worked as dairyman on a 350-acre farm with 100 cows, 60 milking. We children did a lot of farm work and were paid a quarter an hour by my father’s boss. This was on the Eastern Shore of Maryland where my parents moved from a farm in Pennsylvania. JB: You have ancestors who were well-known journalists. Have you ever considered a career in journalism? PL: My father’s father, Walter Long, was a reporter for the Philadelphia Bulletin. Walter Long spent all the decades of his life as a writer, but late in life, developed dementia—I knew him only as a senile old man. He didn’t even know me. All his work, including a novel he’d typed out, was lost. I don’t know why (possibly there were family resentments? ), but I do not remember my grandfather’s accomplishments as a writer being admired as I was growing up. So it was only many years later, with my fate as a writer already sealed, that I realized, wait a minute! My grandfather was a writer! And his grandfather was the “grand old man of journalism in Philadelphia!” Wow! This may have been when I was already in my 40’s. But the fact is I love literature. I love poetry. I love novels and creative nonfictions and essays. Even though you find some beautiful and occasionally great writing in newspapers, and even though some of our great writers began in journalism, let’s face it, most newspaper writing is pretty pedestrian. So no, I never aspired to journalism. Beginning in my late twenties and continuing until I was 40 years old I worked in the printing trade, operating a printing press. I would get up at 4 or 5 and write until 7 before I went to work. I was writing, but in secret. JB: You’ve had 90 or more columns titled “Science Frictions” published in The American Scholar online. Did you study science as an undergraduate at Antioch College in Ohio? PL: At Antioch College in Yellow Springs, Ohio, I majored in history. I was not a brilliant scholar, being otherwise busy. After graduating, I worked with children, as a cleaning lady, as an artist model, as a clerk at a record company, and as a kitchen worker. I also worked in a publishing company for a time, and edited a book titled The New Left: A Collection of Essays. After these rather short-lived careers, I became a printer. Still, I was writing all this while. Even though technology is different from science, science can get a bit technical (although there are many resources that explain things in plain English), and I did not feel intimidated about jumping in. Maybe it’s just that I didn’t know what I was getting into! JB: You earned your MFA degree at the University of Washington—was your thesis poetry, fiction or non-fiction? PL: My thesis was in fiction, but I was able to take two workshops in poetry, one with Colleen McElroy and one with Heather McHugh. My two literature classes were in Yeats and in Shelley. My history of coal mining (Where the Sun Never Shines) was published while I was in the MFA program. Creative nonfiction was not offered in that program at that time. I served as a teaching assistant (we each taught a section of freshman composition) and it was here that I began teaching writing, which I have been doing ever since. JB: Your essays, short stories and poems have been published in highly respected journals. Which type of writing has brought you the most enjoyment? PL: I enjoy the challenges and pleasures of every type of writing I try, especially as I near completion of a piece and see that it has a chance of being artistically realized. In the middle, at the midpoint, in the pit, it all feels pretty hopeless, no matter the form. Creative work is like that. But I’m used to the pit, I know it’s a stage, I push on through. Poetry is my first form and it informs all the others. JB: Having been chosen as a Jack Straw writer, and having received awards from Seattle’s Richard Hugo House, the Seattle Arts Commission, and the Los Angeles Arts Commission—as well as a National Magazine Award for Feature writing—which type of writing would you say has brought you the most success? PL: Creative nonfiction has brought the most visibility to my work so far, but I have many poems and short stories in print as well. I see each piece, no matter the genre, as part of a body of work. To me, part of keeping the faith (to the muses, if you will) is to keep working in all my genres, not just the most popular. 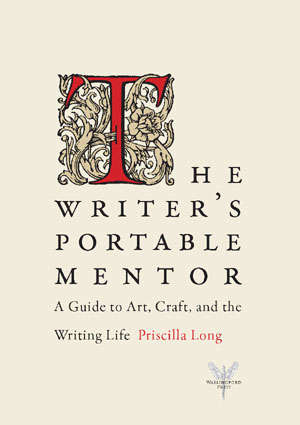 JB: How did you come to write The Writer’s Portable Mentor: A Guide to Art, Craft, and the Writing Life? And what about Where the Sun Never Shines: A History of America’s Bloody Coal Industry? PL: The Writer’s Portable Mentor: For the past 20 years (since I got the MFA) I’ve taught creative writing to developing professional writers, both within writer’s conferences and educational programs and privately. The Writer’s Portable Mentor came out of years and years of teaching and of working on my own craft as a writer. When I teach, I do all the assignments myself, and hand them to the class as the writers in the class hand their assignments to me. This has kept me challenged and awake and productive as a writer, even with a heavy teaching and editing load. Pretty much everything I know about the art and craft of writing and the writing life may be found in that book. JB: How long have you lived in the Pacific Northwest, and have you found this a particularly stimulating environment? PL: In the Pacific Northwest I have found my true home. I love the gray skies, the bridges and maritime effects, the ferries, the growing concern for the environment, the crows, the Steller’s jays, the bushtits and golden-capped kinglets, the tall western red cedars and western hemlocks. I love the many readers in our region, the incredible tradition of art and poetry and music. I love the wheat fields of the Palouse, the high mountains of the Cascades, the strong tribal presence. I love wild salmon. I have lived here for 25 years and I have also edited 6,000 essays about Washington state history (for HistoryLink.org), which has helped me to set down deep roots. My work strongly engages with our region. A recent piece, soon to appear in Smithsonian magazine, is on the Skagit River. JB: Given how important the environment is to all of us, and to the animals, do you have any observations to make about the Vanishing Ice exhibit at the Whatcom Museum? PL: What we are facing today in terms of both climate change and species extinction (with dozens of species going extinct every day) is a growing emergency for our own kind. And the science makes it crystal clear that it is our use of fossil fuels that is causing the global warming part of the emergency. (Habitat degradation and invasive species are the other pieces.) The more one educates oneself about the whole situation, the more one sees that this will wreak major havoc on our world, that some tipping points have already been reached, that some damage is no longer reversible, and that there’s a lot more bad news to come. Poetry Reading: 7:00 PM at Old City Hall, Whatcom Museum, 121 Prospect Street, Bellingham. This event is free to museum members; non-members are asked for a $5 donation. Poetry Writing Workshop: 1:00 to 5:00 PM at Egress Studio, 5581 Noon Road, Bellingham. 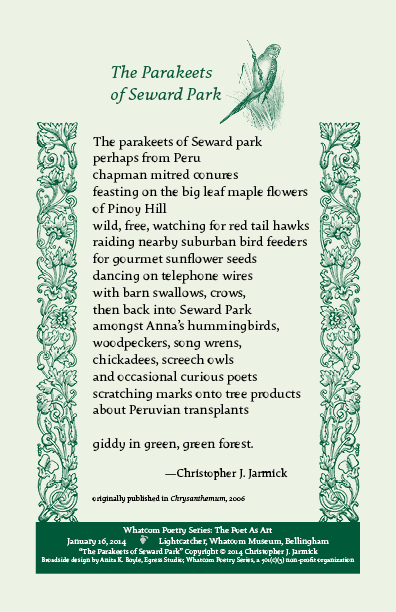 Workshop registration is $50 Earth, Ice, Place: Writing the PoemDuring this four-hour workshop, we will look at ways to bring the world, and the science that illuminates it, into our poems. We’ll look at the situation of the Earth from the perspective of where we stand on it: backyard, woods, ditches, roads, creeks, rivers, the crack in the sidewalk. We will cultivate ways to gather words that will deepen the language of our poems. The meanings and harmonies of poetry and art keep us connected to the deepest part of who we are on this planet. Poems, including the ones we generate in this workshop, have a role to play in healing our earth. Each participant will be invited to be part of a reading at the Whatcom Museum during April (National Poetry Month). For more information, and to register for the workshop, please call 360-398-7870. Please help us thank our sponsors: Humanities Washington and the Whatcom Musuem.